I truly believe a Pizza should burst with flavors , melt in the mouth albeit without the feeling that you've eaten something"bread". The pizza base should act as a carrier of flavors and not a 'barrier'. This tells you I disapprove of any thick-crusted pizza. This wasn't the case until I visited Italy. Also, after eating at quaint cafes across the Mediterranean belt, I felt chain outlets back home were nothing but a distortion! 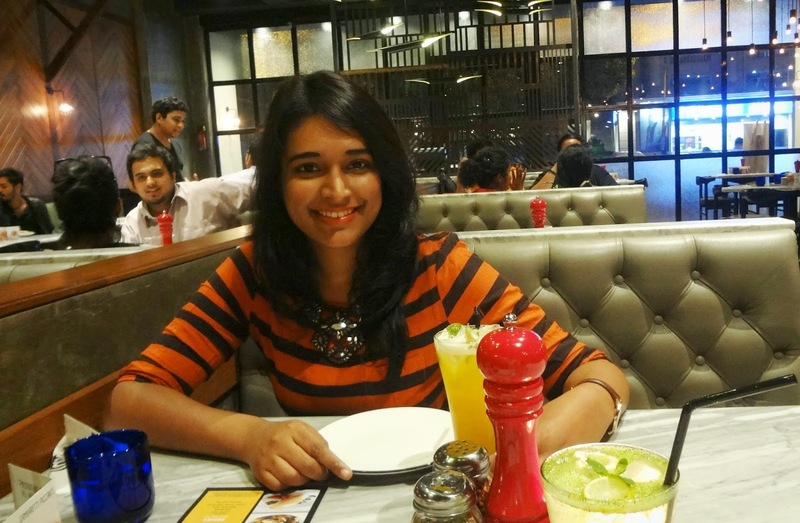 In Dec 2012, Pizza express opened its doors to our home:India, a place which was familiar with the American version of the Pizza. Its only in 2014, that Pizza express scaled up in Mumbai with 5+ outlets across the city & end of 2014 saw it coming up in Delhi. I have been a regular since 2014. 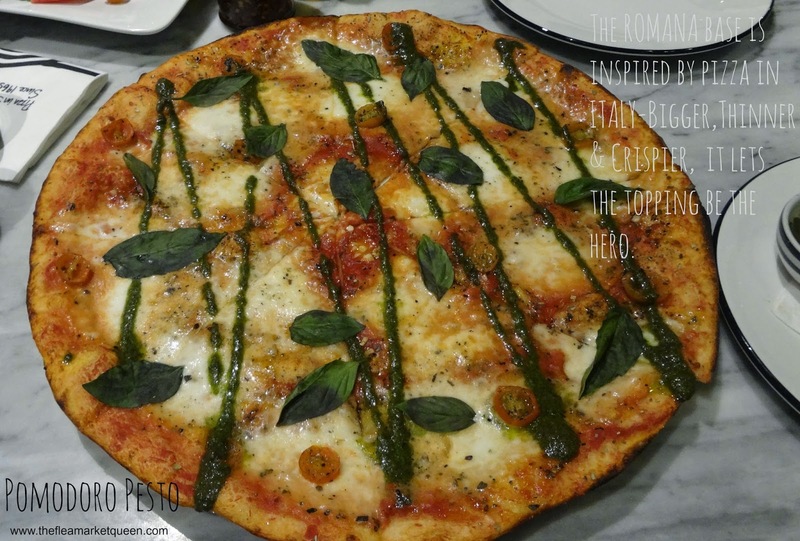 Because the Romana Pizza inspired from Italy , is 'authentic' and probably the best in town. The founder Peter, was just a schoolboy when he first fell in love with pizza. Later, though, he spent years pursuing this obsession on his travels. So many jobs. So many cities. Except for London, where great pizza just did not exist. There was only one thing to do. PizzaExpress was launched in 1965. In Wardour Street. And in chaos. His Italian oven was too big for the door. So he knocked down the wall. Oven in. Oven on. And so it began. I love the white Marble slab tables, earthy & peaceful! A signature black and white striped pattern is seen in the cutlery, the staff's shirts reminding me of the Beagle boys :) A very welcoming ambience that gives you a fine-dine feel. Why shouldn't it, when the credit card's gonna be swiped generously! 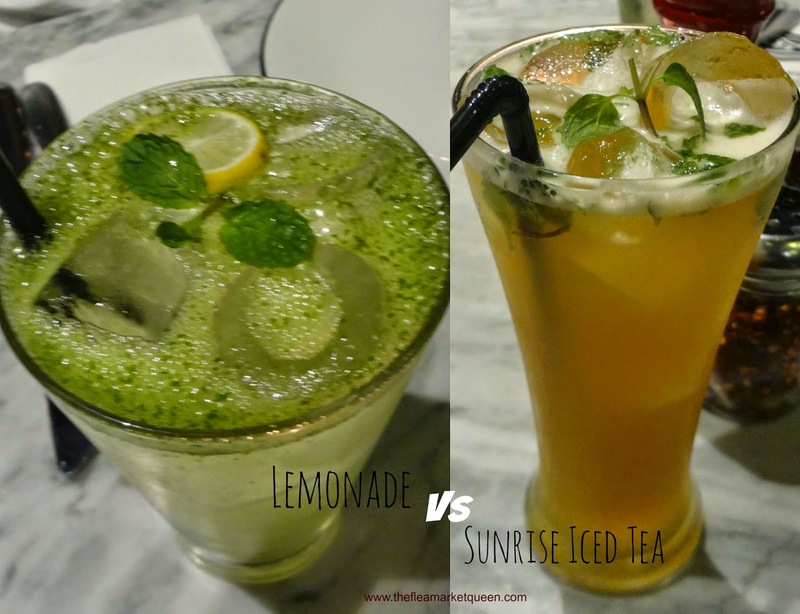 Chilli flakes or Herbs? 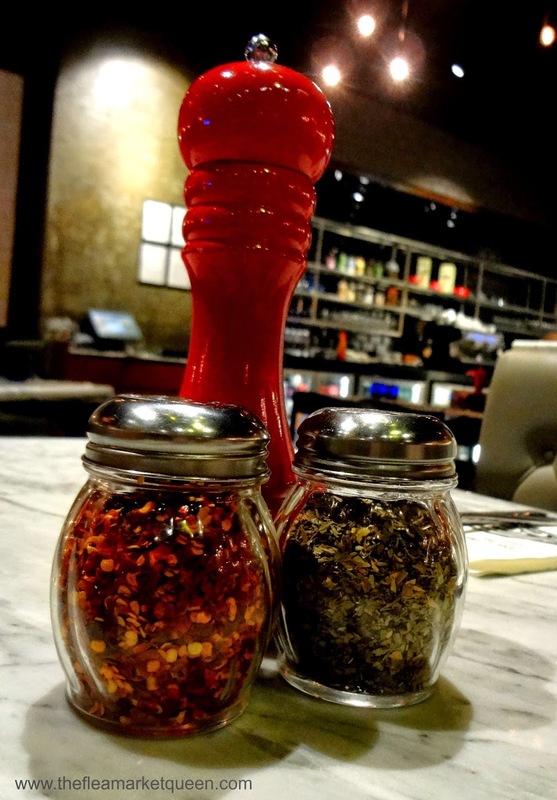 Herbs anytime :D Well, this is just a shot I love because of the vibrant pepper shaker. 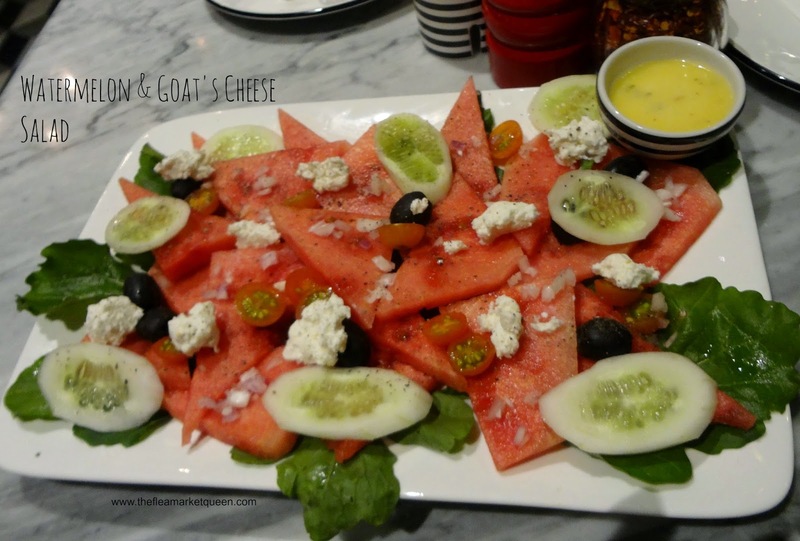 The watermelon cheese salad is for the person on diet or if you're trying to impress your date with your healthy habits! Oh well, its just as delicious as any other Pizza express preparation. The dip is made from mustard and a few secret ingredients which bring a tang to the salad! The dip is available with or without egg. Though i love this, I 'd still prefer the guilt-laden options :D Also, because this recipe is easy to replicate at home! I can kill for Basil! 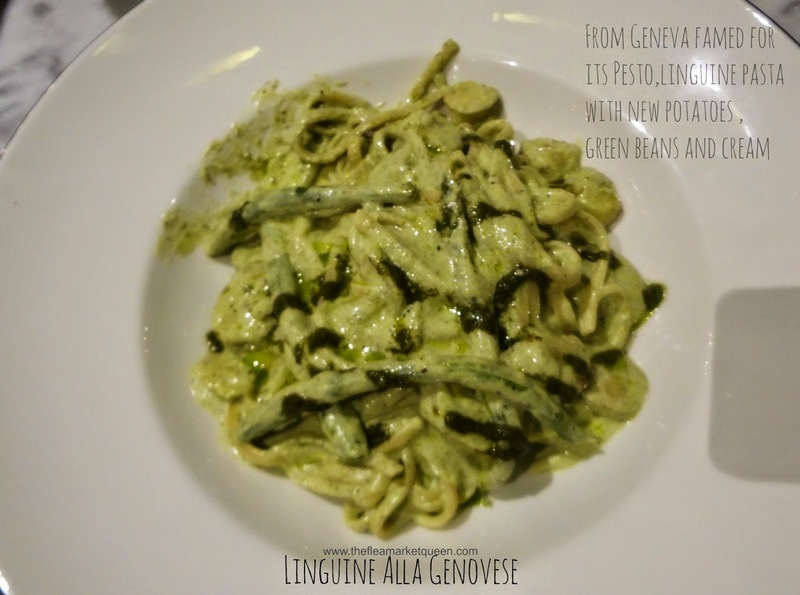 Thats how much I love anything with basil - So this pesto pasta was a natural choice. I love how new potatoes make this creamy along with the nutty basil pesto. Trust me you'll need to burn quite a few kcals after having this one! 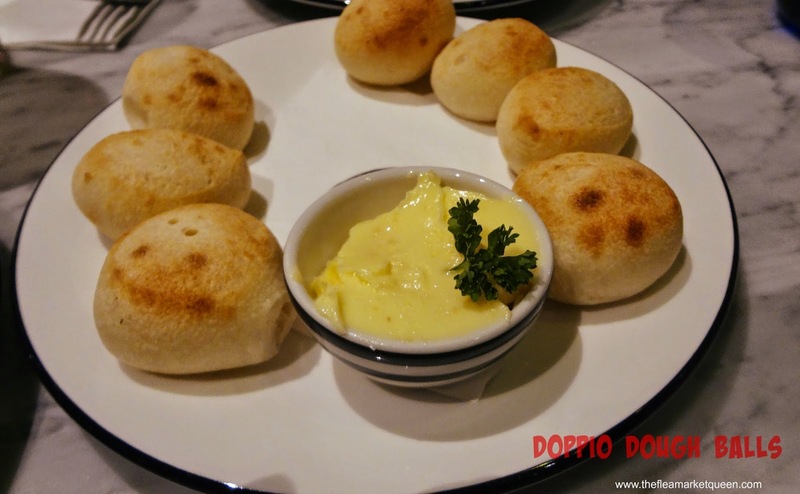 Generous use of olive oil is a signature of most preparations at Pizza express, whats not to love! "Our famous tomato sauce, used in our kitchens since 1965, is made by the Greci family, near Parma, to a recipe perfected by Pizza Express founder Peter Boizot. Peter travelled to Italy at harvest time, securing the sweetest sun-ripened tomatoes to be crushed into sauce within 12 hours of picking. After seasoning with salt & pepper, the finish touch was a fresh basil leaf added to every can, something the Grecis still do today." The gelatos in India haven't yet replicated the recipes from its place of origin- Italy. Again , this is something that I have tasted at many cities across Europe and sadly no one in India gets it right! The thing about Raspberry Cheesecake is that its a delicious flavor, but certainly not a gelato. Pizza express has done everything right except this . 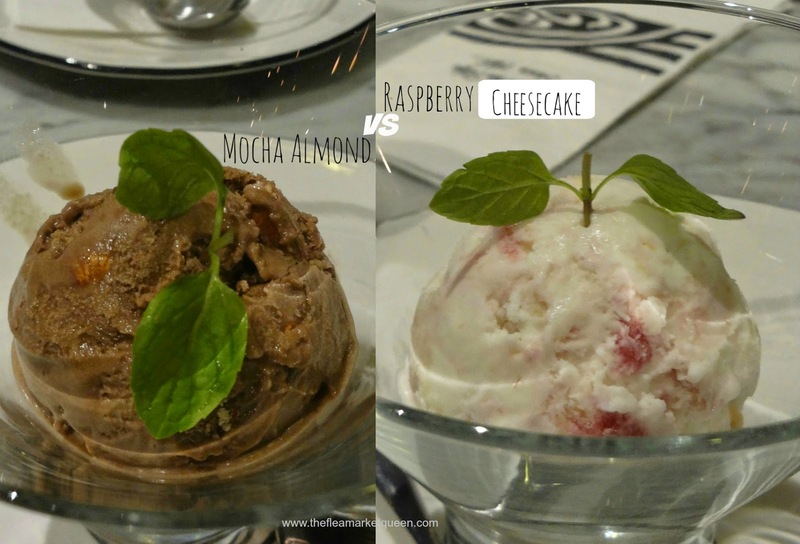 If you try other desserts from the menu like the banofie pie or the cheesecake or even the Tiramisu for that matter- THEY ARE perfect! So perfect, you don't wanna miss them! Everything about this place is so perfect! But i deduct a star only because I wish the menu was priced a little lower than this! A Romana pizza ranges from 575-695 without taxes. Including a starter, a main course , a dessert, 2 drinks, the bill for 2 people is 3000INR approx. If it wasn't for the flavors, I wouldn't have been a FAN! 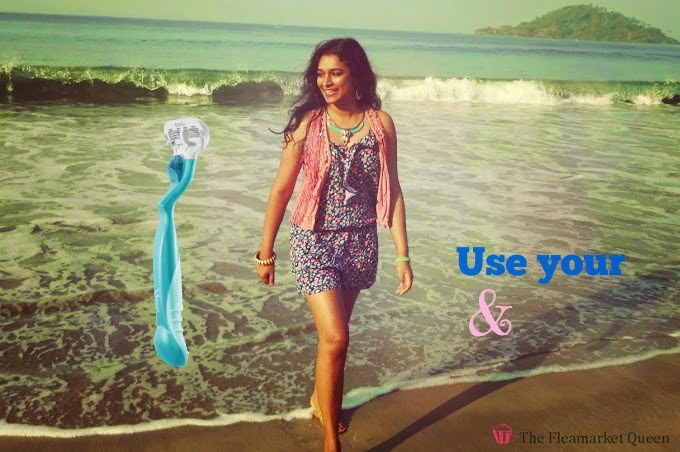 Join them on Facebook and Twitter for all the fun and updates! "One dimensional labels, limit your potential. Use your AND"
Goosebumps anyone? I respect Gillette for coming up with such a strong message that helps us fight the labels. Yes, you are a bunch of million adjectives- a human being cannot be one-dimensional in nature. 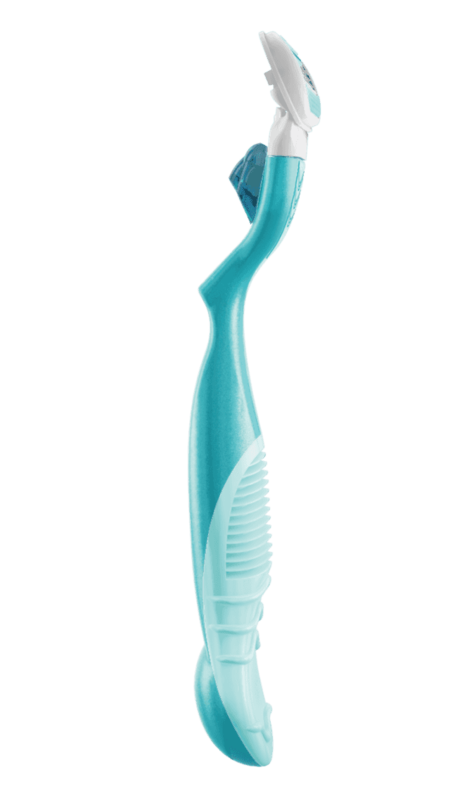 The first 3-blade razor designed for women! 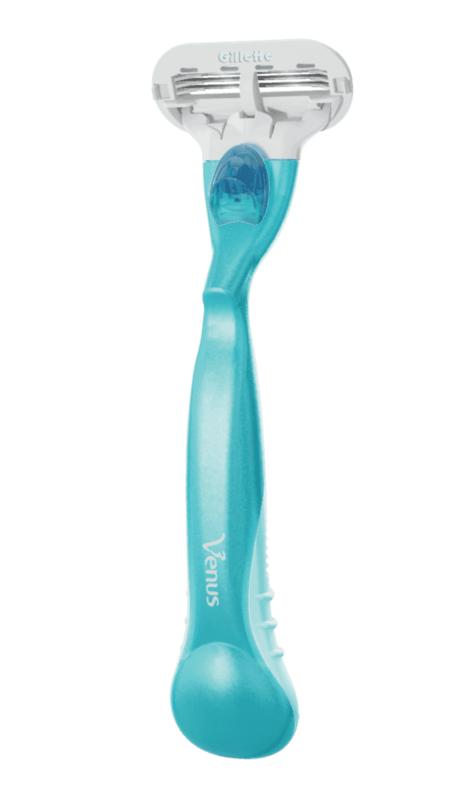 The Venus Original razor features protective cushions for a smooth, close shave. For a 3D-view, check out their US website here. This has to be the best product in its category so far! And I can't wait to see more variants making their way in India, look at the blade selection available in other parts of the world!!! They even have a cute travel size RAZOR! OMG! I'm gonna go crazy collecting once these are launched in INDIA! On my trips to Europe, I found these but they were so expensive, I thought I rather wait for them to arrive here!